Over 100 Years of Proven Excellence. National Gold Medal Award Winner. We Bring Fun to 83,000 Residents. Can you feel the warm rays of sunshine hit your face as you fish at Kaufman Lake? Can you see the vibrantly colored flower islands dancing in the breeze? Can you hear the crack of the bat and roar of the crowd at a baseball game? Can you smell the freshly made buttered popcorn at the Virginia Theatre? Can you taste the full flavored foods at Taste of Champaign-Urbana? If you can, you are experiencing the Champaign Park District. We stimulate the five senses of our 83,000 residents, improving their quality of life while building life-long memories and traditions in the process. For 100 years, we have offered programs, parks, and facilities that satisfy the adventurous, child-like spirit in all of us. Building upon our tradition of excellence, we plan to continue to improve the quality of life for all our residents through educational, recreational, and cultural experiences. Be part of a tradition by joining us in improving the quality of life for all Champaign residents. We work with businesses, foundations and private donors to provide additional financial resources for events, programs and facilities so that we are able to increase our non-tax revenue and enhance our community. The goal of these partnerships is to create long-lasting, mutually beneficial relationships that last for many years. We are actively seeking corporations, organizations and groups interested in partnering with us to benefit our community. From parks to pools, the historic Virginia Theatre to the new Leonhard Recreation Center, basketball to fun runs – we are able to provide you with access to customers that fit your desired demographic. 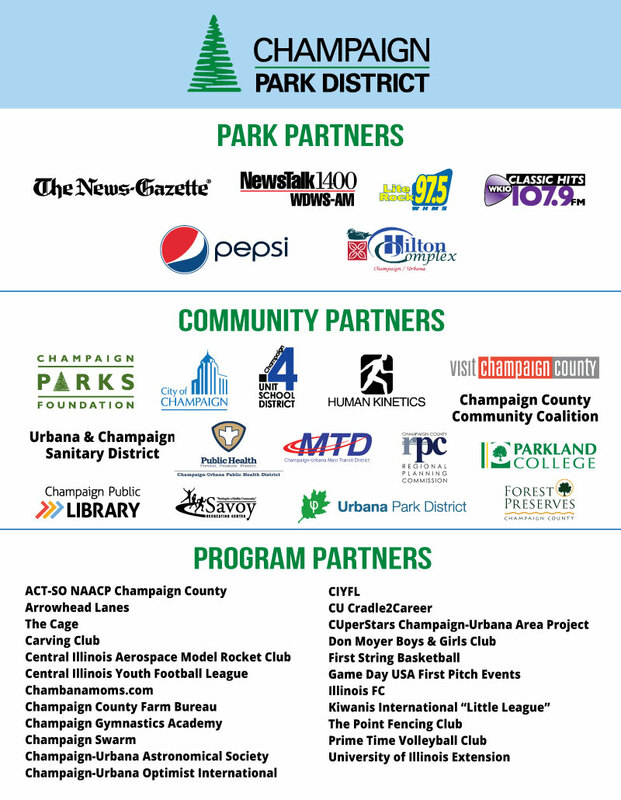 Partnering with the Champaign Park District helps provide high quality, affordable recreation for children and families now and for the future. Please join us. or let us work with you to design a customized and meaningful sponsorship opportunity. 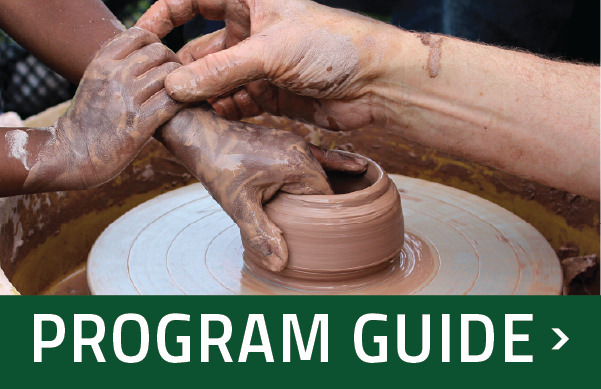 For more information, please visit our Parks Foundation page or contact Laura Auteberry at 217-819-38349.